Seventeen years ago, Ansett Airlines was grounded, never to fly again. I miss Ansett, it was an terrific airline. I also miss it it because it was the underdog, the I think I can commercial competitor to the government owned airline. It fit well with me in a small business sense. What I really miss abut Ansett when I travel is the service. There was something about it that was unique, something one does not see today from airlines. I got the impression they knew that service was a key differentiator for them. While businesses often say that their service is a differentiator, the customer experience does not so often reflect this. For me, the Ansett experience was actions speaking louder than words. 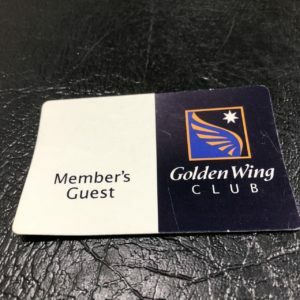 I am in a couple of frequent flyer forums where Ansett comes up from time to time. People often speak in glowing terms of the company and their experiences with it. That Ansett is talked of in such glowing terms today, seventeen years on, demonstrates that their service pitch was on-point, that they got it right. Many of us in business would wish the same good memories for our own businesses. Getting customer service right is hard, especially today in the era of instant outrage, which is aided and abetted by the megaphone of social media. Because of this world, the bar is higher than ever and accountability more public than ever before. While it is nice to look back nostalgically at Ansett, and years for those times, today is today and we in business must run our businesses for today’s situation. We have to operate knowing that even the smallest mistake can blow up and reach thousands in seconds. We have to focus delivering honest, engaged and valuable customer service We have to do this in a way that differentiate titans us from competitors on our street, in malls and online. I get some motivation from Ansett stories in forums today when I read them because they remind me of a customer service experience I truly appreciated, an experience that differentiated the Ansett product from its competitor and, for me, that is at the heart of business competition. Whilst their customer service is still legendary, their demise has a lesson for all. If you don’t invest and remain financially competitive, being nice will not save you. A lesson to many die hard newsagents. The lesson is never let Air NZ invest. The Australian Government (and the Kiwi government too I guess) is partially to blame for what happened to Ansett. At one point Singapore Airlines wanted to come in and buy a big stake in Air NZ (more than the NZ laws at the time allowed) and then in doing that rescue both Air NZ and Ansett. But Qantas was concerned that such a tie-up would create a powerful competitor (given how big Singapore was and is) and got the Australian government to lobby the NZ government not to change the laws and allow Singapore in. If the Australian Government had done what was in the best interests of the industry as a whole rather than listening to one specific player, Ansett might still be flying today.